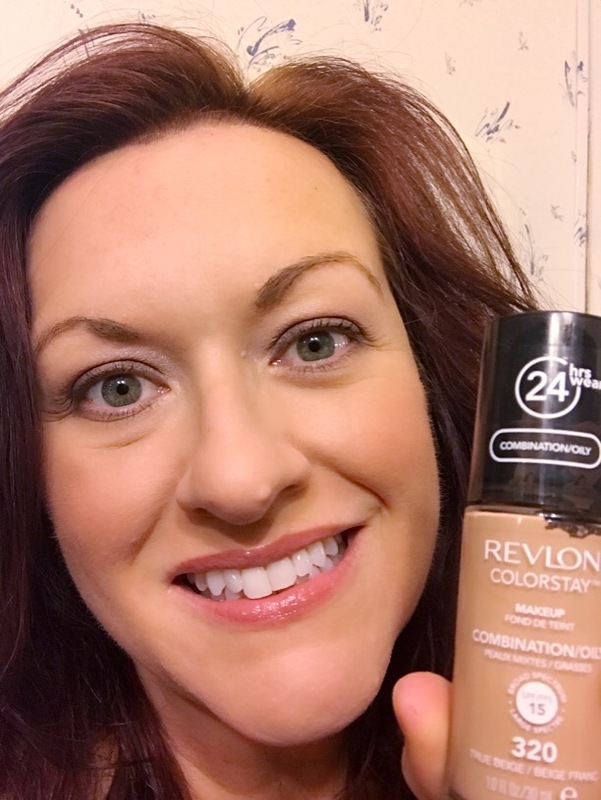 This review is for the Revlon 24hr Colorstay foundation for Combination to Oily skin. I’ve had it for a while,but I just picked it up again to try. I’d like to try it in dry skin formula. But this is all I have right now. So here we go..
I’ve read recently that if you have dry skin, all you do is mix a few drops of vitamin E oil, rose oil, or any facial oil that you have on hand, along with a pump of your foundation. I also plan to try this in the near future. Claims: America’s #1 foundation*, now with a mess-free pump and SPF protection. In 35 shades for every skin tone and type. Flawless, matte coverage that lasts up to 24 hours. Comfortable, lightweight formula specifically made for combination or oily skin to control oil absorption and shine. So the coverage looked pretty dang good on my 40+ skin. In artificial light it looks the best. I think?! 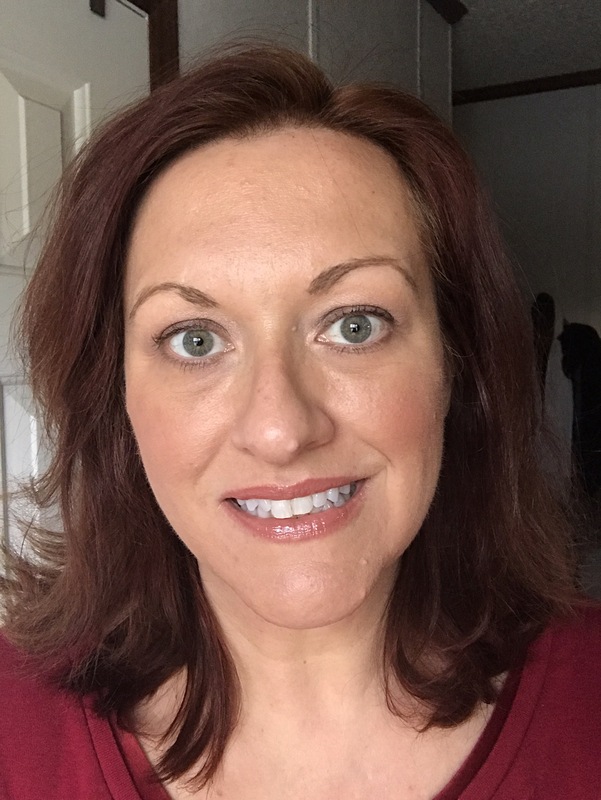 I did prep the skin with a pore minimizing blur primer. It was by Oil of Olay. As you can see, it has oxidized into my fine lines and pores, and sheered out quite a bit. It also looks a bit oily. Turns out I’m not a fan. Maybe if the color was a shade lighter.